MarketWired: Movidius introduces the powerful deep learning vision processing accelerator that fits into a USB Stick. It connects to existing systems and increases the performance of neural networking tasks by 20-30X. It performs at over 150GFLOPS while consuming under 1.2W. Called Fathom, it targets developers, researchers, hobbyists and anyone developing deep learning applications. Facebook's Director of Artificial Intelligence Yann LeCunn has said this about Fathom: “The Fathom neural compute stick is a compact, low-power deep learning accelerator for embedded applications that is quite unique. As a researcher and builder of intelligent machines, I've been dreaming of getting my hands on something like the Fathom USB key for a long time”. First question is on imaging systems, so what sort of sales level do you expect for imaging systems in 2016, and what sort of related loss this year for this business? I think we expect, first of all, the sequential improvement in the top line on our business, on imaging. And also an year-over-year improvement broad comparing Q2 2016 to Q2 2015, as I said before. And moving on during the course of 2016, we see additional opportunity for both sequential and year-over-year growth. As far as profitability performance, we do not provide the performance, we do not provide the quantification at the division level, but we see some good opportunities, and we see the evolution of this business also in terms of financial performance with a degree of optimism. Sony announces annual results for its fiscal 2015 year ended on March 31, 2016. "Looking forward to fiscal year '16, our target is to record a profit. A portion of the image sensors used in our smartphones and a portion of camera modules used in our smartphones are made at Kumamoto TEC and there is a possibility that the status of these production lines might have an adverse impact on the results of this business." "An operating loss of ¥28.6 billion was recorded in fiscal year '15, significant deterioration of ¥117.6 billion compared to the previous fiscal year. As we announced last week, we recorded ¥59.6 billion impairment charge against fixed assets in the camera module business in the fourth quarter. We first entered the camera module business in the later part of fiscal year '13. However, our ramp in manufacturing has been slower than expected, and we recorded a large impairment charges as a result. We thought that we could increase yields and profit margins through automation of the assembly process. But, precisely because we did increase automation, we have limited ability to adapt to changes in specifications and demand. Currently, we are re‐considering the optimal size of this business. In the image sensor business, which account for the majority of sales and profit in the devices segment, we are currently expanding our sales efforts, primarily to Chinese smartphone manufacturers, and orders are strong, but demand is not expected to recover in earnest until the second half of the fiscal year '16." Damage to the building itself has been confirmed to be primarily to the upper layer of the building, and reinforcement work will be carried out in this area. The clean rooms used for wafer processing and manufacturing equipment, both located on the lower layer of the building have not been significantly damaged, and preparations are now underway to resume production. Manufacturing operations are targeted to resume around the end of May 2016. Regarding back-end processes, such as assembly and measurement, as well as processing operations for components such as camera modules, which are carried out on the upper layer of the building, Sony has confirmed that there is damage to the clean rooms, manufacturing equipment and other equipment. Further analysis of the extent of this damage is currently underway. Damage to finished product inventory such as image sensors at Kumamoto Technology Center is limited, and shipments of these products have already resumed. The status of semi-finished and uncompleted products is currently being confirmed. The impact of the earthquakes on Sony Corporation's consolidated results continues to be evaluated. In the Devices segment, there is expected to be direct physical damage to Kumamoto Technology Center. Sony expects to incur expenses primarily for recovery and reinforcement work in response to the physical damage to the relevant portion of the Kumamoto Technology Center. Sony may also incur large opportunity losses, mainly in the Devices and Imaging Products & Solutions segments due to suspension of production for a certain period of time. In addition, due to the suspension of manufacturing operations at Kumamoto Technology Center and potential disruption to the supply of components to Sony from certain third-party suppliers that also have manufacturing facilities in the Kumamoto region, it is possible that business operations within the Mobile Communications, Game & Network Services and Home Entertainment & Sound segments also may be affected. This potential impact is currently being evaluated. "Kumamoto TEC is extremely close to the epicenter of the - the largest earthquake that happened on April 16. It is a primary manufacturing site for image sensors for digital cameras and security cameras, as well as for the micro displays that go into projectors. Kumamoto TEC has a bilayer structure with clean rooms in each layer. The clean rooms in the lower layer contain our wafer processing equipment and the clean rooms in the upper layer contain our testing equipment, camera module production equipment and other equipment. The clean rooms in the lower layer, and the production treatment inside these clean rooms have not sustained significant damage. Since yesterday we have begun to start‐up the equipment in those clean rooms, and we expect to resume production in these rooms around the end of May. On the other hand, the upper layer clean rooms did sustain damage and we are not able to say yet when we will restart operations. Damage to Kumamoto TEC's finished goods inventory is limited, and we are currently inspecting the status of its work‐in‐ progress inventory. In the Devices segment, we expect there to be direct physical damage to Kumamoto TEC, and we expect to incur expenses primarily for recovery and reinforcement work. In addition, there is a possibility that large opportunity losses will be incurred, mainly in the Devices and Imaging Products & Solutions segments due to suspension of production at Kumamoto for a certain period of time." BusinessWire: Tucsen and Gpixel launch the Dhyana 95, a 95% QE camera utilizing BSI sensor technology. Gpixel has commenced sampling of GSENSE400BSI-TVISB, an upgrade of its existing BSI sensor. 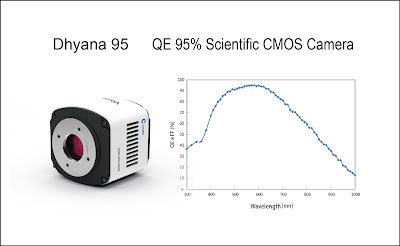 The new version of the sensor offers a high QE of 95% at 580nm. With 100,000 electron full well capacity and 93dB dynamic range, the Dhyana 95 provides excellent image quality in high contrast applications, at up to 35fps full frame and greater than 100fps at 1K x 1K resolution. Dark noise is minimized through -25℃ cooling of the hermetic sensor chamber. Gizmodo, The Verge, ABC: The US President Obama and German Chancellor Merkel visited the Hannovermesse and tried on a Google Cardboard with pmd CamBoard pico flexx + handtracking Software from gestigon. Digitimes Research expects the car-use image sensor market to grow from US$440 million in 2015 to US$900 million in 2020. n the short term, from 2016-2018, most countries will include automatic emergency braking systems as an item for evaluating car safety, and in 2018 night sensor functions are expected to be included. As for the long term, by 2035, one in every four cars will feature semi-automatic or full-automatic driving technology and each of these cars will use up to 19 image sensors. Sony's developments for car-use image sensor are focusing maintaining stable black level in high-temperature environments, reducing signal noise, developing high dynamic range imaging and enhancing image recognition in bad weather. "Operations at Sony Semiconductor Manufacturing Corporation's Kumamoto Technology Center (located in Kikuchi Gun, Kumamoto Prefecture) were halted after the earthquakes and remain suspended. The extent of the damage caused by the earthquakes is being evaluated and preparations for the rehabilitation of the site are underway, with priority being placed on the safety of employees. Measures to minimize the impact on business operations are also under consideration. The impact of the earthquakes on Sony's consolidated results continues to be evaluated. The suspension of operations at the Kumamoto Technology Center may have an adverse impact on Sony's operating results, particularly in the Devices and Imaging Products & Solutions segments. In addition, the earthquakes have caused damage to the manufacturing facilities of certain third-party suppliers of components to Sony, the impact of which on Sony's business operations is currently being evaluated." Sony records an impairment charge in operating income of 59.6 billion yen related to long-lived assets in its camera module business. Due to a decrease in projected future demand, Sony has revised its Mid-Range Plan for the camera module business in the Devices segment from the period beginning with the fiscal year ending March 31, 2017. Given the decrease in projected future demand, Sony performed an impairment analysis during the quarter ended March 31, 2016 and determined that future cash flows would not be sufficient to recover the entire carrying amount of the long-lived assets, leading to the recording of an impairment charge of 59.6 billion yen. The earthquake of April 14, 2016 and subsequent earthquakes in the Kumamoto region have no impact on the consolidated financial results forecast for the fiscal year ended March 31, 2016. The impact on the consolidated financial results forecast for the fiscal year ending March 31, 2017 is currently being evaluated. Adimec demonstrated CCD camera and latest generation (Sony IMX250) CMOS based camera with and without color in low light. On the left side of the company's Youtube video is the Adimec TMX7-DHD cameras (top is color and bottom is monochrome) using the Sony 2/3-inch ICX674 CCD image sensor with 4.54um pixel. On the right side is the Adimec TMX50 cameras (again top is color and bottom is monochrome) using the latest Sony 2/3-inch global shutter CMOS sensor IMX250 with 3.45um pixel. The TMX50 image is interpolated to match TMX7-DHD resolution of 1920x1080. Robert Stead, the founder of Sense Media organizing AutoSens conference, teams up with Patrick Denny of Valeo, Sven Fleck at SmartSurv, Benjamin May at AMX13, and a number of other professionals to submit IEEE Project Authorisation Request (PAR), Proposed Project 2020: Automotive System Image Quality. 5.2 Scope: This standard addresses the fundamental attributes that contribute to image and quality for automotive Advanced Driver Assistance Systems (ADAS) applications, as well as identifying existing metrics and other useful information relating to these attributes. It defines a standardized suite of objective and subjective test methods for measuring automotive camera image quality attributes, and it specifies tools and test methods to facilitate standards-based communication and comparison among OEM and Tier 1 system integrators and component vendors regarding automotive ADAS image quality. 5.4 Purpose: This standard specifies methods and metrics for measuring and testing automotive image quality to ensure consistency and create cross-industry reference points. The mysterious $3.7b-valued AR startup Magic Leap publishes another Youtube video "A New Morning. Welcome to a new way to start your day. 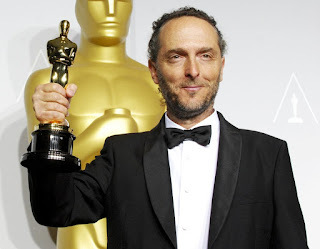 Shot directly through Magic Leap technology on April 8, 2016 without use of special effects or compositing:"
Albert Theuwissen has updated the PDAF pixel report and included a figure-of-merit for PDAF. This FoM allows the reader to compare the efficiency of the PDAF pixels coming from different sensors, different technologies and different vendors. Also a couple of new references are added to list. ALA: Sofradir announces that its cost effective 3-4.8um MWIR Daphnis HD imager will enter production. The 10-micron pixel pitch high-definition IR detector claims superior performance against recently launched competitive 10µm products. "For the span of next five years i.e. 2016-2020, projections are made that the market would rise tremendously at a significant CAGR. China is expected to lead the market accounting the significant share in the market. The growth drivers for the global dual lens smartphone market are: expansion in fusion technology, production capacity expansion along with the rise in disposable income. Despite the market is governed by various growth drivers, there are certain challenges faced by the market such as: technological hurdles, stable sourcing of image sensor and migration to finer processes for image sensors, high-cost burdens, and algorithms." 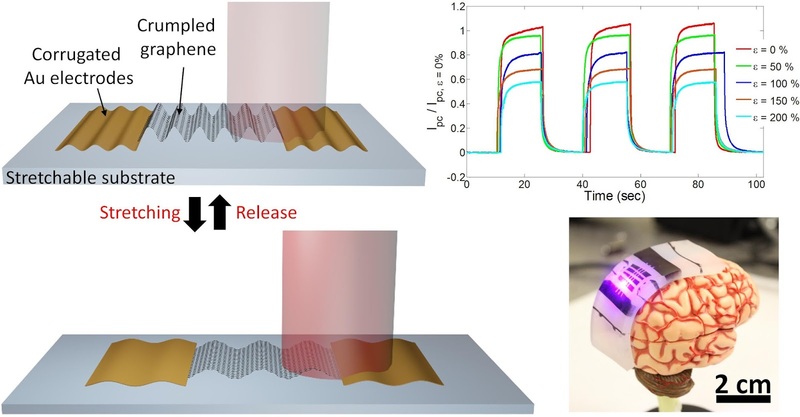 "The first is a Plasmonic Lens, based on the phase delay through nanoslits, which has been found to be hardly compatible with current CMOS technology and exhibits a notable metallic absorption. The second is a dielectric Phase-Fresnel Lens integrated at the top of a pixel, it exhibits an Optical Efficiency (OE) improved by a few percent and an angle of view of 50°. The third one is a metallic diffractive lens integrated inside a pixel, which shows a better OE and an angle of view of 24°." Sony says that operations at its Kumamoto Technology Center, which manufactures image sensors for digital cameras and security cameras, were halted after the earthquake on April 14, and currently remain suspended. Damage to the site's building and manufacturing lines is currently being evaluated, and with aftershocks continuing, the timeframe for resuming operations has yet to be determined. Although some of the manufacturing equipment at Nagasaki Technology Center, which is Sony's main facility for smartphone image sensor production, and Oita Technology Center, former Toshiba fab which commenced operations as a wholly-owned facility of Sony on April 1, had been temporarily halted, the affected equipment has been sequentially restarted from April 17, and production has resumed. Sony Kagoshima Technology Center (located in Kirishima City, Kagoshima Prefecture) has continued its production operations after the earthquakes, and there have been no major effects on its operations. Sony has confirmed the safety of all of its and its group companies' employees in the region affected by the earthquakes. The impact of these events on Sony's consolidated results is currently being evaluated. Digitimes publishes its speculations of the possible impact of the earthquake on the image sensor industry: "Because of Sony CIS solutions are highly customized, clients may have difficulties shifting orders to other suppliers in the short term. Switching orders to other suppliers will cause 2-3 month delays before they receive products. With Apple's smartphone shipments expected to be impacted, Taiwan component suppliers that rely heavily on Apple's orders are also expected to see their performances influenced. Sony's CIS shortage issue may benefit the second-largest CIS supplier worldwide, Samsung Electronics." Marketwired: Movidius announces a strategic collaboration with FLIR to bring advanced computer vision capabilities to Boson, FLIR’s latest LWIR camera core. FLIR integrates the Myriad 2 Vision Processing Unit (VPU) into its thermal core, Boson, creating what is called the most intelligent thermal imaging solution on the market today. “FLIR has developed the first-ever integrated solution that now allows customers to take advantage of these new advancements while continuing to leverage FLIR’s unique thermal imaging technology and support ecosystem. FLIR will be instrumental in deploying advanced computer vision in applications such as home security, personal vision systems, drones, law enforcement and defense,” said Movidius CEO, Remi El-Ouazzane. Albert Theuwissen announces his 4th Harvest Imaging Forum "Durability of CMOS Technology and Circuitry outside the Imaging Core: integrity, variability and reliability" to be held in Dec. 2016. More info will be posted in the coming weeks. OSA Optics Express publishes Johns Hopkins University paper "Compact all-CMOS spatiotemporal compressive sensing video camera with pixel-wise coded exposure" by Jie Zhang, Tao Xiong, Trac Tran, Sang Chin, and Ralph Etienne-Cummings. The paper presents a prototype 127 × 90 pixels image sensor that can reconstruct 100 fps videos from coded images sampled at 5 fps. With 20× reduction in readout speed, the novel CMOS sensor only consumes 14μW to provide 100 fps videos. 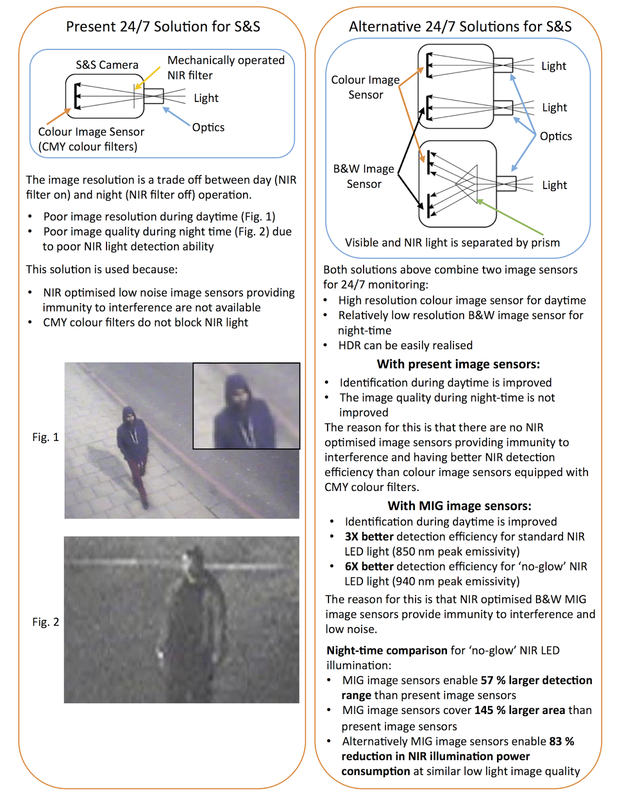 "Figure 1 shows the difference between a conventional camera with global exposure and a PCE camera. In a conventional global exposure camera, all the pixels are exposed for a fixed amount of time (T v) to readout one image at readout frame rate of 1/T v. This is compared to a PCE camera, in which pixels are exposed through a random short “single-on” exposure of fixed duration (Te) within T v. The readout circuit only samples the pixel value at the end of T v with readout speed of 1/T v. PCE essentially compresses a spatiotemporal video into a single coded image. Upon on receiving the coded image, PCE reconstructs the entire video from the single coded image using sparse spatiotemporal reconstruction with an over-complete dictionary. Since the reconstructed framerate is 1/(unit time o f Te), PCE provides a high frame rate using the same readout speed as a conventional image sensor. PCE is also different from traditional spatial CS approach, which recovers one frame using multiple random spatial samples. Thus, PCE is more optimal for video applications because the sparse samples include both spatial and temporal information." Meanwhile, SeekingAlpha presents a skeptical view on Mobileye's autonomous driving approach. Reuters reports that Sony extends production halts on Saturday after a second 7.3 magnitude earthquake struck a key manufacturing hub in southern Japan. The image sensor plant in Kumamoto on the southern island of Kyushu had been already shut after an initial 6.5 magnitude quake rocked the region on Thursday. Sony says that operations at its image sensor plant in Nagasaki, also in Kyushu, will be partially suspended too. Sony is assessing damage at the two plants and does not yet have a timeline for resuming operations. "We are still checking for potential damage to the plants, which usually operate on a 24-hour basis," a Sony spokesman told Reuters. "We do not yet know how the closures will impact supply to customers like Apple." Update: Another Reuters report quotes Sony spokesperson saying “We are not expecting any immediate supply disruption as we have some inventories right now. We will make an announcement promptly if any supply issues emerge.” He said the company was hoping to resume operations as soon as aftershocks end, and would probably provide an update on late Monday afternoon. "We are still checking for potential damage to the plants, which usually operate on a 24-hour basis," he said. Apple could not be immediately reached for comment. Samsung says it has diversified its sources for image sensors used in its smartphones and the quakes will have no impact on its flagship products. Update #2: Reuters: Sony on Sunday said production at its image sensor plant in Kumamoto, southern Japan, remained suspended as it assessed damage from a powerful earthquake. Operations at its image sensor plants in Nagasaki and Oita, also on the southern Japanese island of Kyushu, fully resumed, the company said. The Kumamoto plant has been offline since Friday, while operations at the Nagasaki and Oita plants were partially suspended on Saturday. Another Columbia University video presents its Cambits reconfigurable camera concept. Japan ITE Transactions on Media Technology and Applications Vol. 4(2016) No. 2 is devoted to a Special Section on Advanced Image Sensor Technology featuring 12 open-access papers from Sony, Canon, Renesas, several universities and more. Bloomberg reports that Sony has evacuated employees from its southern Japan Kumamoto image sensor plant as a precaution after the 6.5-scale strong earthquake in the area, according to the company's spokeswoman Mami Imada. There are no reports of fire or injuries at the facility and the company will assess the extent of damage on facilities, she said. Morningstar quotes Sony spokesman saying that personnel at an image-sensor plant in Kumamoto prefecture were safe and there were no reports of serious damage, but the company was still assessing conditions. Update: Bloomberg updates that the plant in Kumamoto on the southern island of Kyushu is still being inspected, Sony said. The strength of the earthquake, as well as persistent aftershocks, are raising the risk that it will take time to restore operations, Kenichi Saita, an analyst at Mizuho Securities, wrote in a report. Still, he said he doesn’t expect the earthquake to have a major impact on camera-chip supplies, given current demand and Sony’s ability to shift production to other factories in Japan. “We expect components for upcoming high-end smartphones to come from the Kumamoto factory, so there is concern on the impact on production and shipments,” Saita wrote. BusinessWire: ESA has awarded and funded a contract to a European industrial consortium, led by Caeleste, with developing a new CMOS Sensor entirely designed, manufactured and tested within Europe. A High-Performance CMOS Sensor will be developed, aimed at demonstrating the capability to meet future ESA mission requirements (in terms of spectral sensitivity, SNR and environmental durability) for scientific space applications. Caeleste, contributes to the project with over 250 man years of experience with the custom design and realization of CMOS sensors for various application domains, including space and astronomy applications. LFoundry, with its wafer fab facility at Avezzano, Italy, is responsible for the manufacturing of the image sensor. LFoundry is able to manufacture sensors that respond to very stringent specifications such as cryogenic environment (at low temperatures - 180 degrees). Since 2006, the Avezzano site has been manufacturing imaging process technologies and products using technology nodes from 180nm down to 90nm technologies on 200mm wafers, including volume copper Back End of Line (BEOL), BSI processes and extensive testing capabilities. Airbus Defence and Space will provide its 15 years’ experience in CMOS Sensors development for Space Applications and perform a characterization campaign in parallel to the one performed at Caeleste. IEEE JEDS publishes early open access papers "Photon Counting Error Rates in Single-Bit and Multi-Bit Quanta Image Sensors" by Eric Fossum and "Determining Conversion Gain and Read Noise using a Photon-Counting Histogram Method for Deep Sub-Electron Read Noise Image Sensors" by Dakota Starkey and Eric Fossum. DPR: You’ve worked with InVisage, the company behind QuantumFilm, and seem very enthusiastic about what that technology can do for filmmakers and photographers. Why? EL: When InVisage approached me and showed me their sensor technology I got very, very excited. As people would say, it’s music to my ears. Actually, it’s music to my eyes what they are doing! What they’re attempting to do is everything I’ve been looking for, and that’s why I’m so excited to work with them. The first thing I’m excited about is the high dynamic range of QuantumFilm, but the other thing that’s important is a camera that has a global shutter as opposed to a rolling shutter. That’s something that we suffered with a bit during Gravity. When you’re doing a lot of digital effects and stitching things together, not having global shutter can become a big issue, as you guys know. BusinessWire: Lytro introduces "Lytro Cinema, the world’s first Light Field solution for film and television." 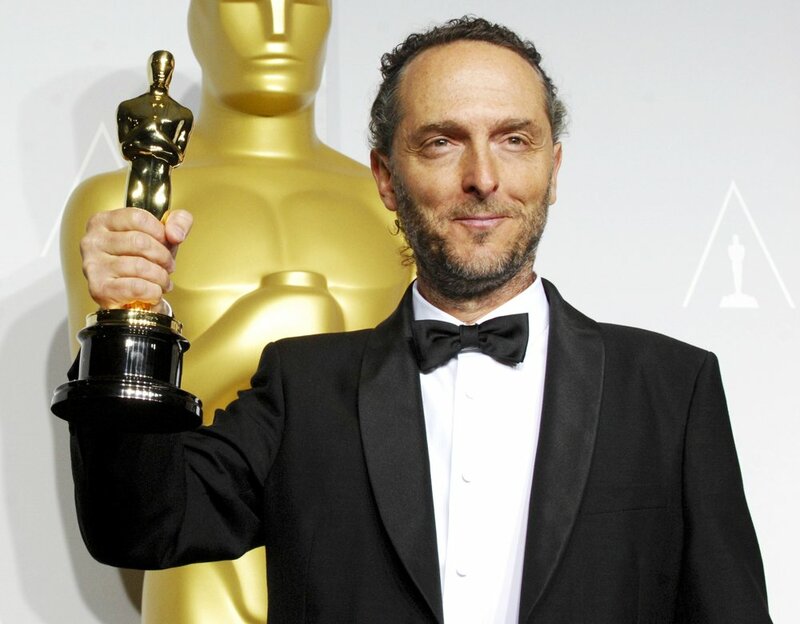 Lytro Cinema will be available for production in Q3 2016 to exclusive partners on a subscription basis. Update: Another pixel noise reduction paper in the same Sensors journal issue is "Noise Reduction Techniques and Scaling Effects towards Photon Counting CMOS Image Sensors" by Assim Boukhayma, Arnaud Peizerat, and Christian Enz from EPFL and CEA-Leti. It covers mostly theoretical foundations of the pixel noise reduction. TSMC is to sell 5.1% ownership of Xintec. TSMC holds 10.2% of Xintec from its purchase of OmniVision's 49.1% ownership in VisEra Holding Cayman, Ltd. and 100% ownership in Taiwan OmniVision Investment Holding Co. Inc. (renamed as Chi Cherng Investment Co., Ltd.) on November 20, 2015. Of the above 10.2% Xintec ownership, 5.1% was sold on November 30, 2015. The remaining 5.1% announced to be sold now was released from the IPO lock-ups on March 30, 2016. After the Xintec shares sales, TSMC will remain as the largest shareholder of Xintec with approximately 41% ownership. TSMC announces that it has no plan to sell more Xintec shares in the foreseeable future. TSMC expects to continue its close collaboration with Xintec in the areas of CMOS sensor, MEMS, and etc. Do not expose to ultraviolet rays, sunlight or other strong light for long periods. The transmittance and color characteristics of the on-chip lens and color filter may be affected. Avoid storing or using products at a high temperature or high humidity, as this may adversely affect the transmittance or color characteristics. The imaging characteristics may be affected by noise or other factors when strong electromagnetic waves or magnetic fields are approached during operation. Special care should be taken for CMOS image sensors as these are easily affected. Note that the image of CMOS image sensors may be affected by light leaking to the optical black when using an infrared cut filter that has transmittance in the near infrared range while shooting subjects with high luminance. Sony image sensor specifications do not assume use in environments with above-ordinary radiation levels. White pixels occur spontaneously in image sensors over time and due to cosmic radiation. White pixels that occur should be compensated using a white pixel compensation circuit. Researchers from the University of Illinois at Urbana-Champaign have demonstrated a new approach to modifying the light absorption and stretchability of atomically thin two-dimensional (2D) materials by surface topographic engineering using only mechanical strain.